Treaty tabled in Parliament but no date yet for presenting legislation. 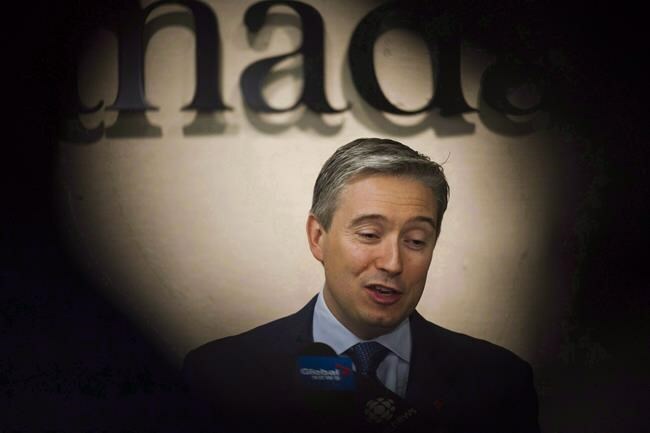 OTTAWA–More than two months after signing it, International Trade Minister Francois-Philippe Champagne has tabled the Comprehensive and Progressive Trans-Pacific Partnership treaty in Parliament. Agrifood and other groups welcomed that step but the big question for them remains when the legislation to approve Canada’s participation in the trade group be presented. With about four weeks of scheduled Parliamentary sitting time remaining before the summer recess, the Canadian Agri-Food Trade Alliance (CAFTA) and others fear the process could be delayed until the fall, which could reduce the benefits available to Canada. Which is about the same response opposition critics and others have been receiving for weeks. The CPTPP will come into effect once six countries ratify the agreement triggering tariff cuts, which will secure a first-mover advantage over the countries that are slower to ratify it. Carlo Dade, Director of the Trade & Investment Centre of the Canada West Foundation, said after “dragging its heels so far on ratification, Canada cannot afford to delay any longer. Getting the CPTPP ratified is badly needed good news for western Canadian farmers out in the fields for spring planting as by this time next year, they could be taking advantage of major trade benefits over our American competitors in Asian markets. Innes said Mexico ratified the deal in April while Australia has tabled the treaty in its Parliament and vows to ratify it. Japan’s Lower House will vote on it before the end of June and Malaysia and Chile are both expected to implement the agreement quickly. New Zealand, Singapore, Peru, Vietnam and Brunei are all working towards an autumn implementation date. If Canada isn’t among the first six countries to implement the CPTPP, it will “face headwinds in the Asia-Pacific,” he said. “Canadian agrifood exporters are currently at a competitive disadvantage because other countries have trade agreements that Canada does not. Mexico, Australia and Chile have free trade agreements with Japan and the Japan-EU Economic Partnership Agreement will soon slash 85 per cent of Japanese tariffs on European agrifood products. CAFTA says research shows the trade pact could increase agrifood exports by $1.84 billion while not being in the CPTPP “could mean $2.93 billion in opportunity costs for the agrifood sector–a significant blow to the sector that generates $96 billion in GDP annually and supports about 1 million jobs in urban and rural communities across the country. The TPP agreement could at least increase beef exports by $300 million, $300 million more pork exports, an additional $100 million in barley products, and $780 million more value-added canola exports. In addition, pulses, soybeans, sugar and processed food products all stand to gain improved access. Dade said ratifying the deal would give Canada more leverage in the NAFTA talks. Mexico is already using its ratification of CPTPP to gain negotiating advantage with the U.S.